We had friends in town visiting this past weekend and we spent Saturday pub hopping in San Francisco. This turned out to be a great idea for multiple reasons, one being that it was over a hundred degrees where we live and we don't have air conditioning. 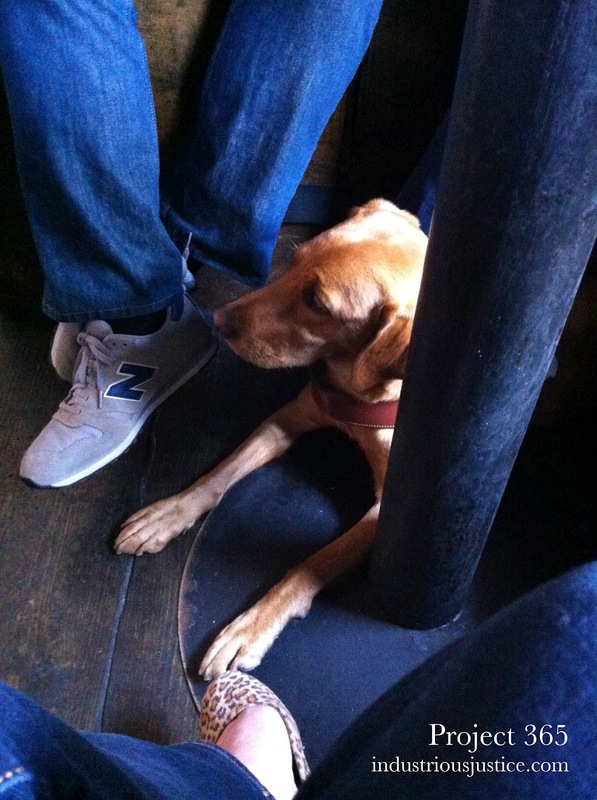 This is a photo of our friend's guide dog at pub #2, perfectly well behaved under the table.